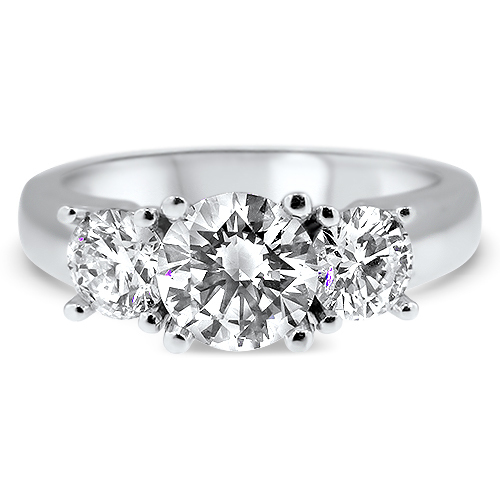 1.81ct Euro Cut Center Diamond surrounded by 0.91cttw accent half moon and round diamonds. 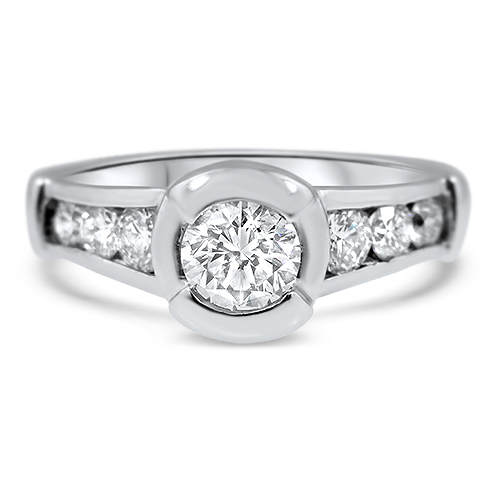 The center diamond is H/I color VS clarity double prong set and is flanked by half moon diamonds. 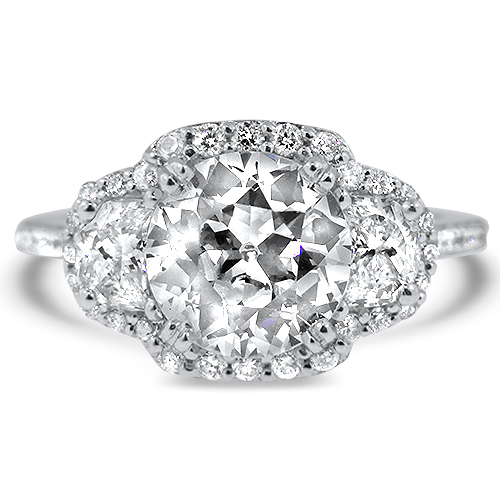 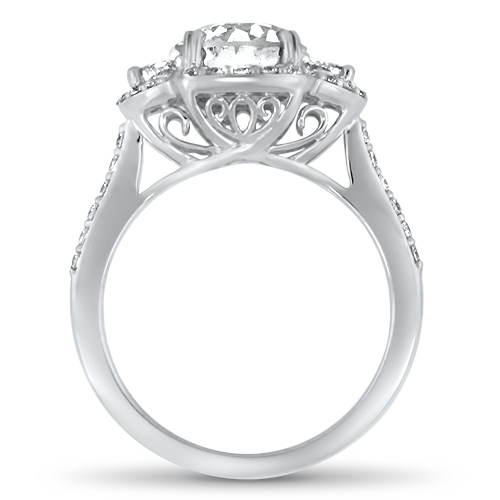 The three center diamonds are surrounded by a full halo and diamonds down the shank. 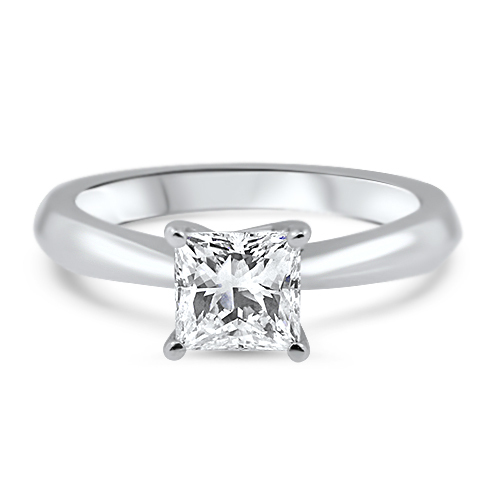 The mounting is a Natalie K Design set in 18K White Gold.